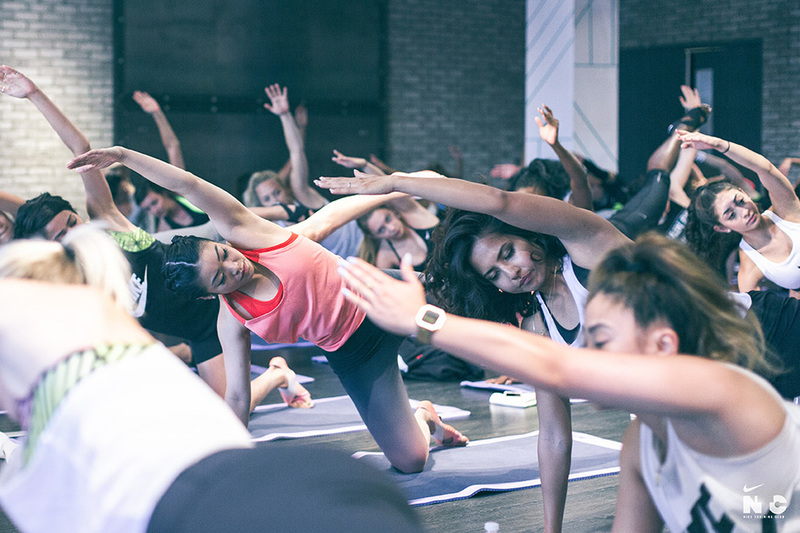 On Saturday, May 23, Nike Women hosted a special #NTC #DoneBeforeDawn studio workout at the Arcadian Loft with Nike Master Trainer Eva Redpath, and special guest Spencer O'Brien, Canadian Professional Snowboarder and World Champion Olympian. "Eva is such a great trainer, I’ve had such a good time getting to know her over the last few years and I’m really excited to finally do one of her classes!" Spencer said. One of the main reasons for Spencer's appearance and participation in the live studio workout was to encourage and empower women, especially those training for the Nike Women's 15K to remember that they're only getting #BetterForIt. Athletes train for those big events and big moments, but off-season training is equally important and infinitely harder to keep yourself on track. As a professional snowboarder, Spencer understands the dedication and motivation required to train all year round, but also knows that she’s always better for it in the end. Despite an early morning wakeup call, a crowd of media influencers arrived for 6:00 a.m. to interview Spencer O'Brien, and enjoy everything Nike Women and the Arcadian Loft had to offer prior to the scheduled 7:00 a.m. studio session. DJ FeelGoodSmalls also had the tunes bumping to get the ladies in their morning groove. Floor to ceiling windows that overlooked the city of Toronto was an added motivation in itself. 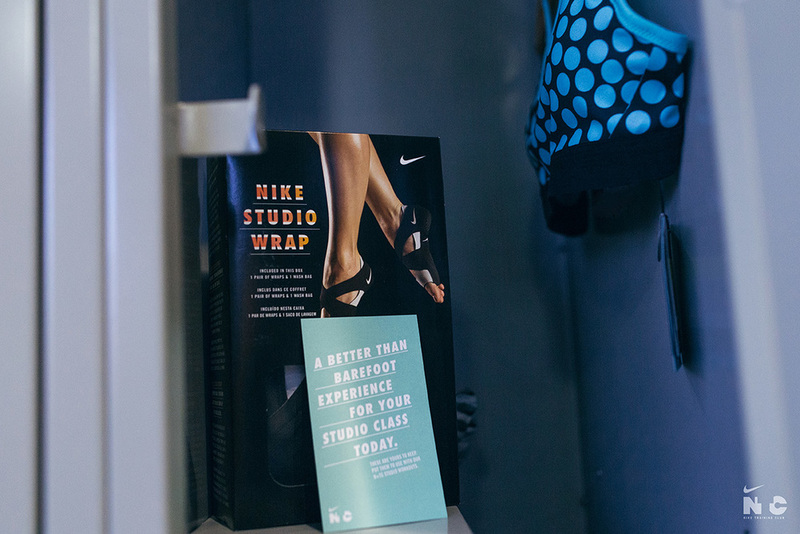 Upon arrival, guests were greeted by their personalized Nike lockers and gifted studio wraps and sports bras. In addition, fresh pressed juice and other breakfast goodies were also included to fuel everyone up. 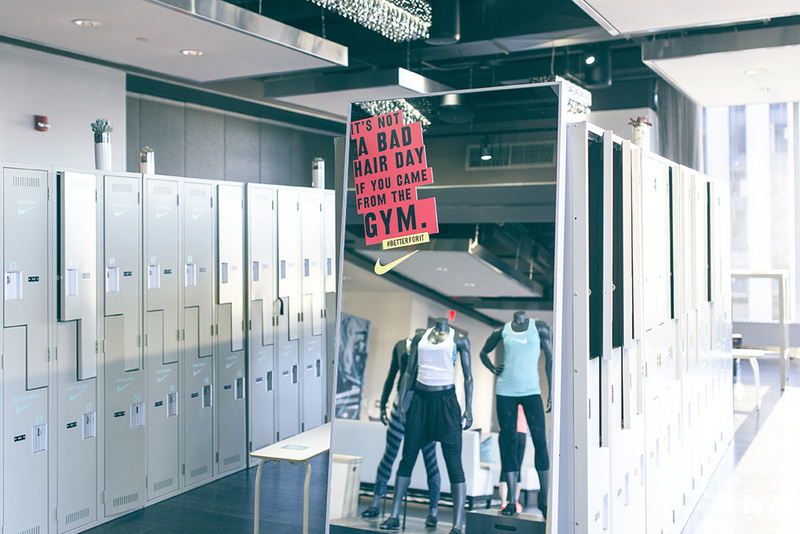 And Nike Women wouldn't be Nike Women without a hair-braiding studio to have you looking cute while you sweat! Spencer is a firm believer of NTC as she squeezes workouts in between her off-season training.
" I use NTC all year round because it’s such a good program for me when I’m on the road and don’t have time to get to a gym." she said. "I’m always in ski resorts and sometimes there isn’t a gym available so NTC is great because I can pull it out and do it in my hotel room. There are so many different workouts!" Spencer is the first and only Canadian to have a workout on the Nike+ Training Club App., called, "Power Legs," and recommends her training regime to those training for the upcoming Nike Women's 15K in June. "I think Power Legs would be a great workout for training for the 15K because just like it says in the name, it’s all about legs which for me as a snowboarder, is the most important muscle group." she said. "It’s really about building explosive muscle power so things like squat jumps, scissor jumps, box jumps; really dynamic and quick explosive movements. It would be a great thing if you’re training for the 15K to break up your workouts." Spencer is currently training on her off-season and focuses around building her endurance and strength at the gym in preparation for her competition training at the end of the summer season. "Everything in the gym is recovery so foam rolling, biking, stretching, core, and maintenance for the strength that I built in the off-season is key," she said. When in training mode her favourite go-to gym pieces are the Legendary Tights and the Nike Free TR Flyknits. "I’m a big, big tight girl – I love tights! And Free TR Flyknit is my favourite to train in; it’s almost like wearing a sock on the upper but you still have that good support and traction for the sole. I’m really into those and they come in some really cool colours!" Maintaining her endurance and stamina is key to her on and off season training and her go-to runners are the Nike Zoom Pegasus.
" I switch to the Pegasus when I’m out for a run because they have so much support," she said. "There’s a big difference in competition training and off-season training. In competition, I’m obviously on snow about five to six days a week for three to four hours a day, and then I usually have a gym session after that for about two hours." Her off-season go-to moves can be found in her Nike+ Training Club app – Power Legs. Spencer says her off-season training has been heavily intense and plans on taking a vacation before hitting the slopes in August for her first event in Australia. 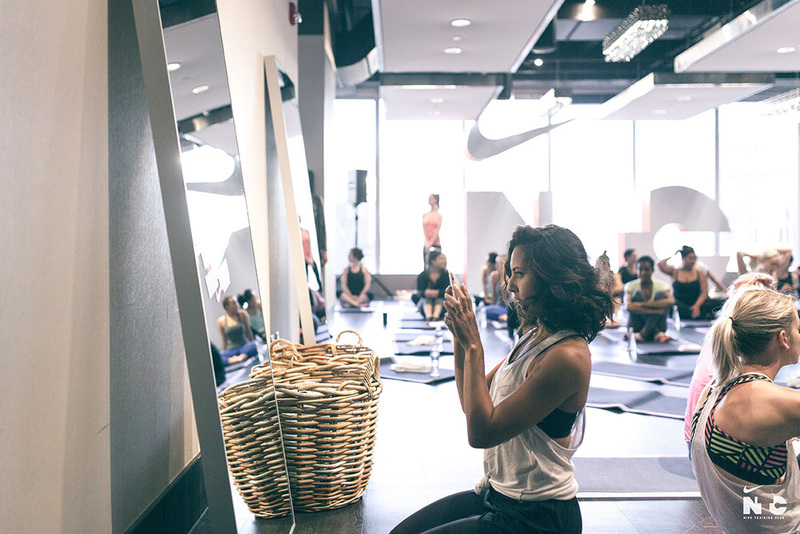 In addition to Eva's live studio class, the event ended with the opportunity to explore and privately shop the new Nike Women's Concept space at Hudson’s Bay, while getting complimentary make-up touches courtesy of Bobbi Brown Cosmetics. Nike Master Trainer, Eva Redpath certainly gave the ladies the ultimate wakeup call on Saturday morning with intense and challenging upper and lower body training. 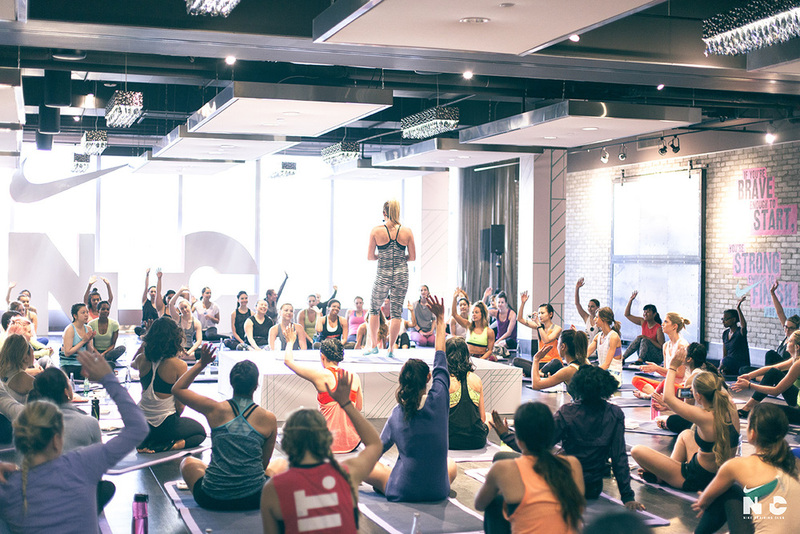 Nonetheless, every woman left feeling #BetterForIt and ready to tackle their weekend. They were #DoneBeforeDawn and feeling accomplished.